In a glass container with a lid stir together oats, milk, vanilla and strawberries. Place in the fridge overnight. In the morning, stir to combine before serving. Serve cold or warmed in the microwave, drizzled with dulce de leche. Mix it up – Instead of using milk, use almond milk or cashew milk to make overnight oats. 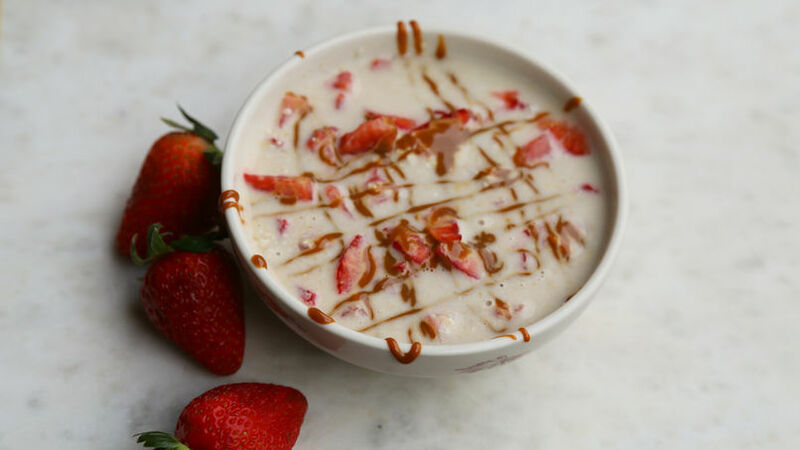 Take the guess work out of breakfast by prepping a batch of strawberry dulce de leche oats the night before. A few ingredients, a quick stir, time in the fridge overnight and breakfast is ready and waiting for you in the morning.